Maria is originally from London, This is where she mastered her trade in hairdressing. She began working as a stylist at Alan International where her love for the art began, then went on to work for world renowned hairstylist Stephan Way where she not only became a stylist but also an educator. 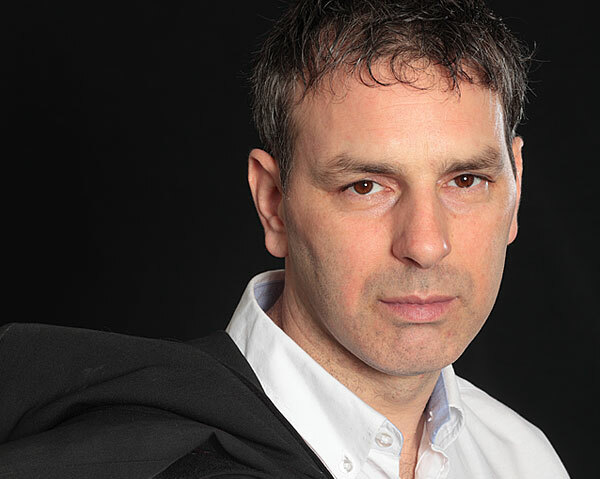 Going on to work for Headmasters a worldwide salon in Wimbledon and Ham. When Maria moved to Cornwall in 2000 she became the south west regional training advisor for Cheynes training. Tara was born in Germany and moved to Cornwall 1992 where she attended local schools and settled into the Cornish life walking her dog on the Cornish coast lines. Tara loves going to festivals around Britain where she can let loose. She often travels to Australia each year for a month to see her brother relax and unwind whilst seeing the sites. Tara spent 7 years at Toni & Guy during this time she attended the London academy once a week where she looked at up and coming trends and how she could take this back to her clients in the salon. Tara trains and tutors apprentices of the salon. After doing her London barbering course she has varied and greater knowledge of gents styling, priding herself on keeping up to date with the latest trends. Tara Continued the family line of becoming one of many creative hairdressers. Her straight yet edgy cutting technique reflects her personality. Samm began his apprenticeship with Chocolate in 2013. Chocolate is so proud of Samm as he has achieved NVQ level 2 and 3 and also a Level 4 management qualification in partnership with Truro college. Through hard work he has progressed from assistant to a very busy principal stylist and is now covering Katie whilst on maternity leave as the salon manager. Samm inherited his passion for hair from his mum, also a successful stylist. 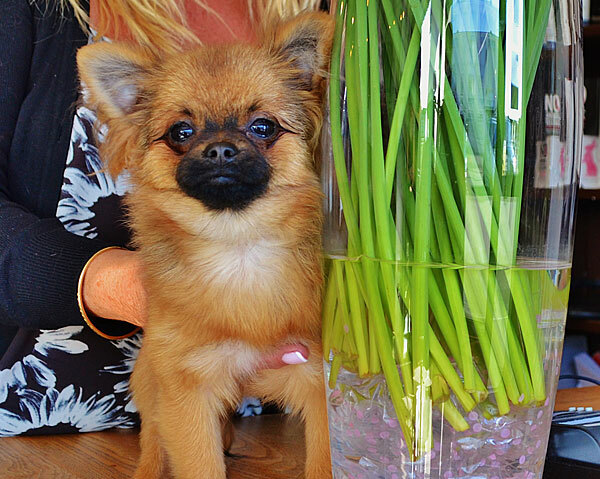 He brings fun and a love of fashion to the salon. Samm is a constant source of entertainment and shares his birthday with Elvis, this explains the likeness. Samm has a huge passion for Britney, old school glamour with a touch of quirkiness is his thing. Justin is a key part in the salon supporting the stylist and training any new & young general assistants. He is our salon backbone. He was originally born in Belgium and moved to Cornwall at the age of 2, moving around a lot from Newcastle, Wales, Staffordshire, Herefordshire then moving to Cornwall at the age of 15, here he went to the local schools in Newquay. Justin has worked extensively in hospitality but found his favourite job began when he started at Chocolate in 2001. Justin enjoys camping around Cornwall as long as it’s somewhere where he can do some fishing. He is part of three choirs, Oll-an-guella, Newquay choral society and Newquay’s male voice choir; this has given Justin the opportunity to sing in London’s Royal Albert Hall and later on this year he will be going on his first abroad holiday to Dinard in France to sing in numerous French concerts. 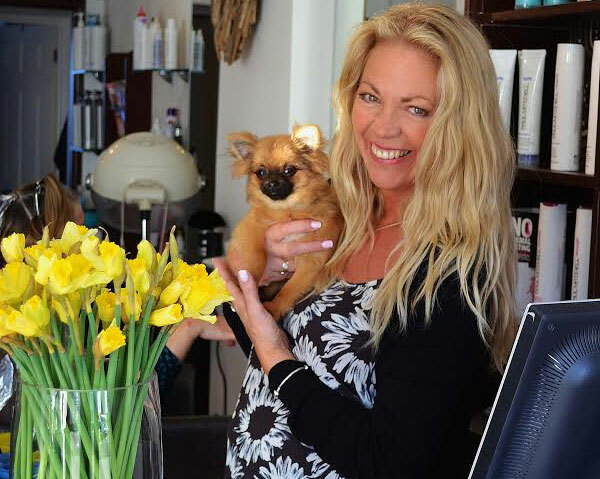 Ceri will always greet you with a smile; she will look after all your needs as she does ours, she’s our salon mummy. Ceri was born in Newquay and has never wanted to live anywhere else. She loves living by the sea and having her friends and family around her. She has two gorgeous daughters and now a granddaughter too. Ceri has been with the salon for the past 16 years, even before Chocolate was born. Ceri loves dancing and walking Teddy, her dog, on the Cornish beaches. Lady Conchitta ( Co Co) the salons smallest Chocolate is responsible for hospitality and maintaining client comfort. She loves all thing glamorous and is involved in most of the salons photographic work and can be followed on Instagram: Lady Conchitta Pascoe.